The right replacement windows in your home will provide the perfect frame for a picturesque view outside. What do your home's windows look out on, and are you seeing it properly? With over 10 years of experience, Modernize is here for you when you are actively looking for replacement windows in Milwaukee, WI. Speaking with local window professionals will help you find the best solution for your individual home renovation needs. We take pride in what we do and we want to help ease the process of getting new windows installed. We are proud of what we do. We want to connect our homeowners to the best local window contractors in a quick and easy process. Get free quotes from the best window replacement contractors in Milwaukee, WI, ready to complete your project. If you live in Milwaukee, and you are considering upgrading your current windows to a more energy efficient option, there are a few things you should know before getting started. First, it is important to be sure it is time to make the investment in replacement windows. Most windows are meant to last for ten to fifteen years before they need replaced, but if your windows have become difficult to open or close or have started to allow air to leak in or out of your home, there are clear benefits to making the investment in new windows. When windows are not doing their job of protecting your home from changing outdoor temperatures, they cost you money because your heating and cooling system are forced to work harder to keep your home comfortable during seasons of extreme temperatures. Once you are certain your windows need replaced, you will also want to take into account how your location in Milwaukee factors into which windows you will decide to buy. The weather in Milwaukee is unique, and the windows you buy you should be uniquely suited to protect your home from the extreme temperatures you experience. In addition to covering the climate in Milwaukee, this window buying guide will also take a look at the building codes and permitting requirements in your city so you can feel fully equipped to purchase and install new windows in your home. In Milwaukee, you enjoy four distinct seasons that bring temperatures on both ends of the spectrum. In the summer, July is the warmest month and the average high reaches 82.8 degrees. The winter season is cold and snowy, the average low temperature is 12.9 degrees and the average annual snowfall is 36.6 inches which is significantly higher than the national annual average of 25 inches. The simplest start to finding the right windows for your home is to make sure the windows you buy are compliant with ENERGY STAR® guidelines in your city. ENERGY STAR® has divided the country into climate zones and created unique requirements for replacement windows sold in the regions. Milwaukee is located in in the Northern Climate zone and homeowners in this region should mainly concern themselves with the U-Factor rating of their new windows. This rating is a measurement of how much heat can escape your home, a really important thing to consider when your city experiences long and cold winters. In Milwaukee, your windows should always have a U-Factor of 0.30 or less. Another important consideration is how efficient the materials used to construct your windows truly are. Vinyl and fiberglass window frames are an excellent choice for homes in Milwaukee since they are highly insulative, weather resistant, and easy to maintain. When it comes to choosing window frames, multi-pane windows with triple glazing offer the most efficiency for regions that experience extreme temperature changes and heavy snowfall. While most federal tax credits aimed at increasing the affordability of energy efficiency home upgrades have now expired, many local cities are still working hard to help their residents pay for new windows. In Milwaukee, the city has partnered with Summit Credit Union to finance low interest, no money down loans for certain home improvements, including qualifying window replacements. To apply for one of these loans, visit Summit Credit Union online or in person at one of the many Milwaukee area branches. 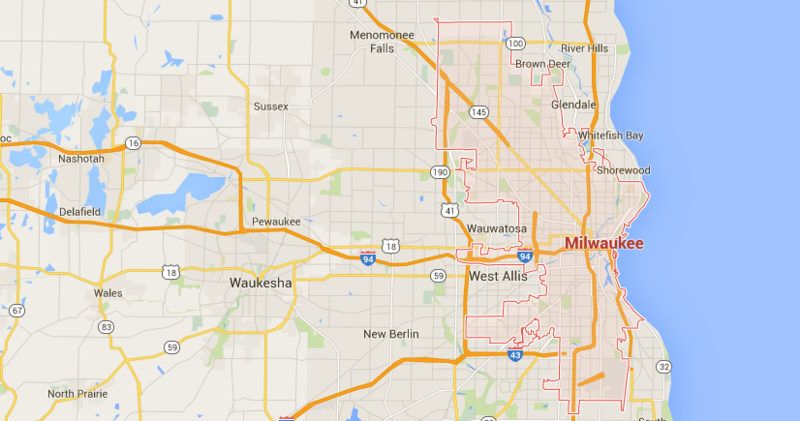 In Milwaukee, most window replacement projects require you to apply for a permit. All building permits can be downloaded on the Department of Neighborhood Services website and submitted in person at 809 N. Broadway, First Floor, Milwaukee, Wisconsin 53202. Their office is open Monday through Friday from 8:00 a.m. to 4:30 p.m.. If you have additional questions about applying for a building permit, you can contact the department at (414) 286-8211. Before hiring a contractor to install new windows in your home, interview a few different options in your area. All contractors should provide references from previous home improvement jobs and show proof they are fully insured and licensed to make major home improvements in your state. The state of Milwaukee only gives a dwelling contractor license to contractors with ample training and a complete understanding of the safety and building codes in place in your city and working with a licensed contractor further ensures you are working with a professional and reliable contractor. Using the information provided above, this Milwaukee window buying resource can help guide you to the right windows for your home. By choosing ENERGY STAR® compliant and weather resistant windows, you can be sure you are making improvements to your home the will lower your consumption non renewable energy and decrease your heating and cooling expenses by $75 to $352 each year.